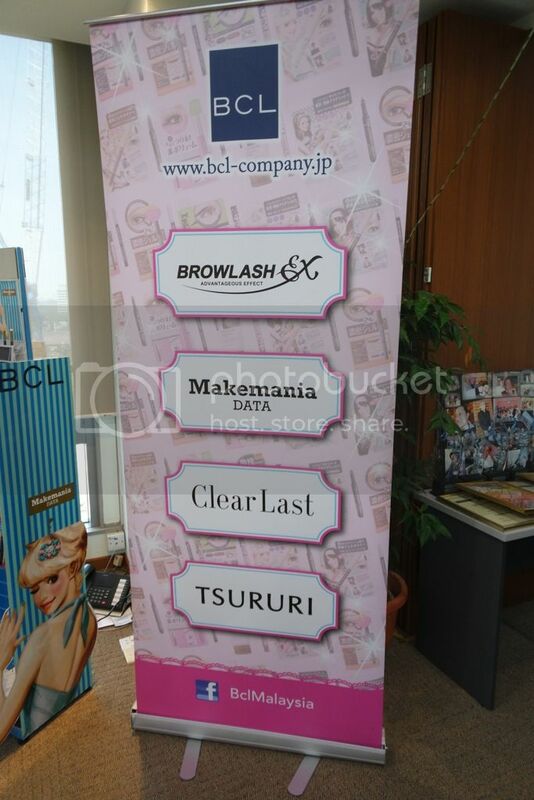 BCL which stands for Beauty Creative Lab has carried out a lot of brands such as Browlash EX, Makemania Data, ClearLast and Tsururi. 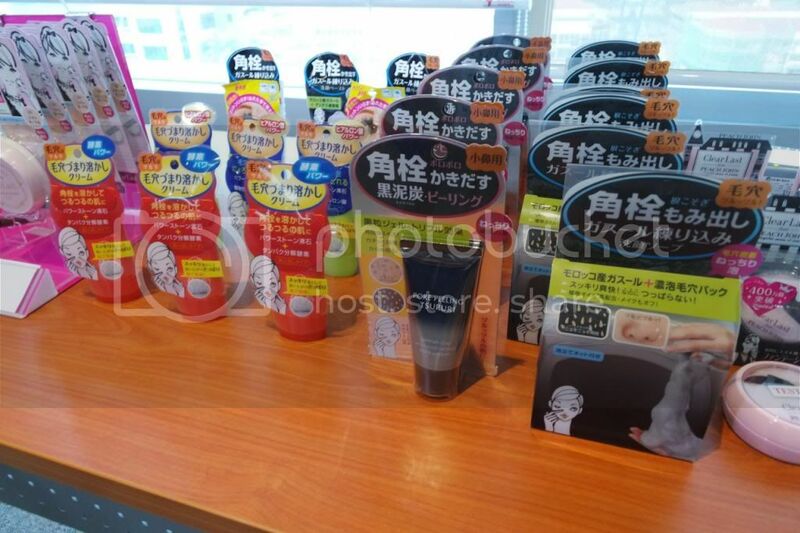 As for Tsururi range, it is a pioneer of face care series specializing in pore problems. 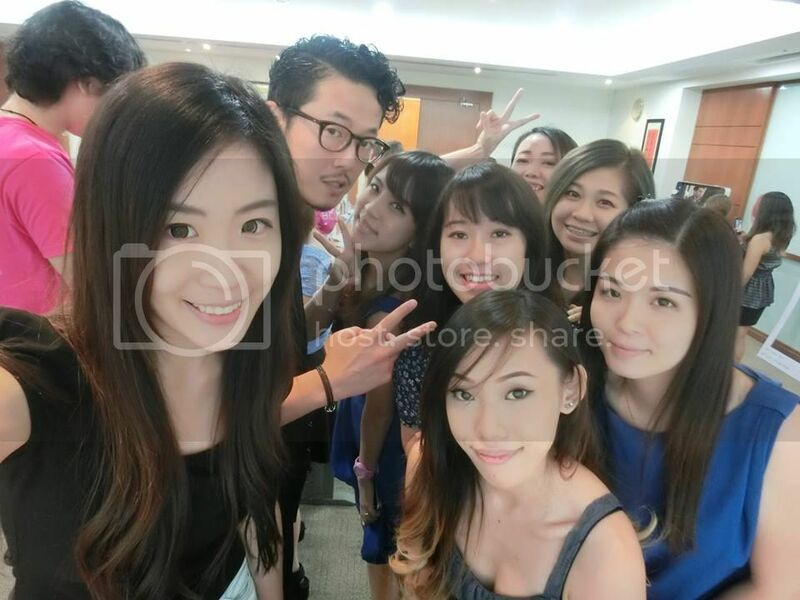 Hiroki-san taught us two look that day which are Cool Beauty and Japanese Idol. 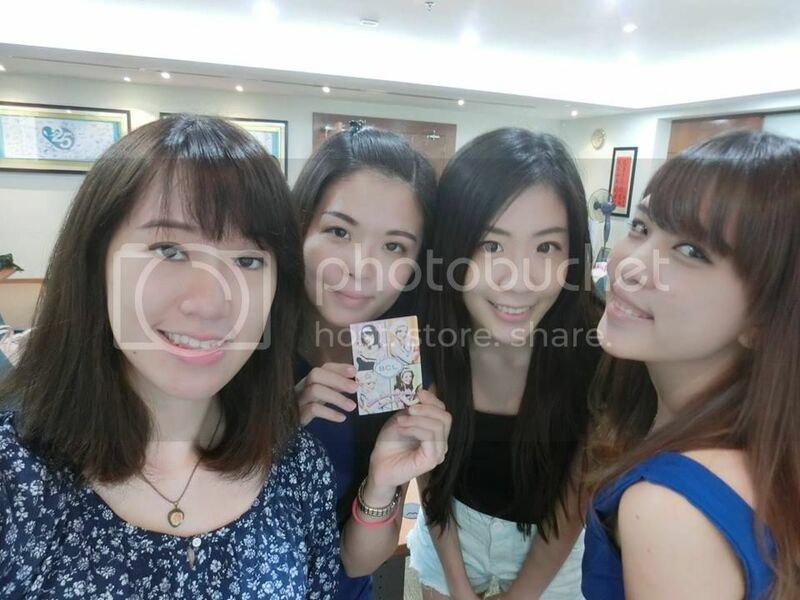 Cool Beauty would give some mature and defined look while Japanese Idol would be based on something more natural. 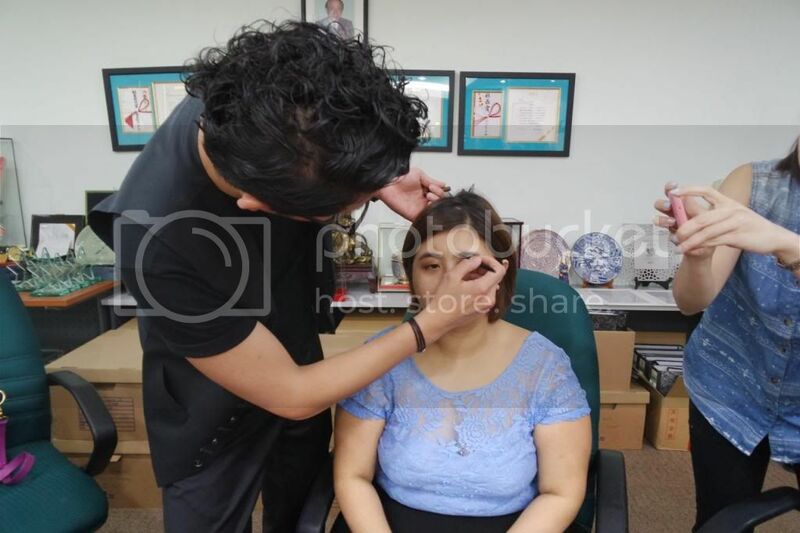 While waiting for other bloggers to arrive, Hiroki-san applied foundation and powder on model's face before applying makeup. 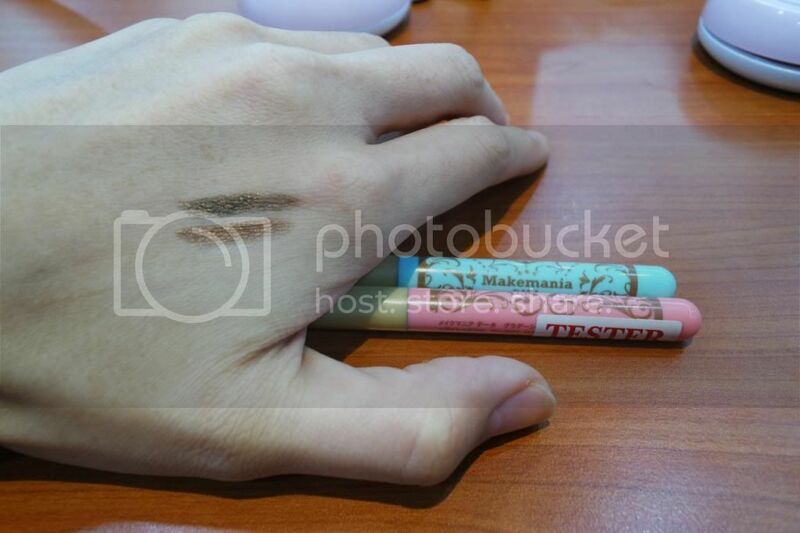 Hiroki-san showed us two look by applying Cool Beauty on my left side and Japanese Idol and my right hand side. 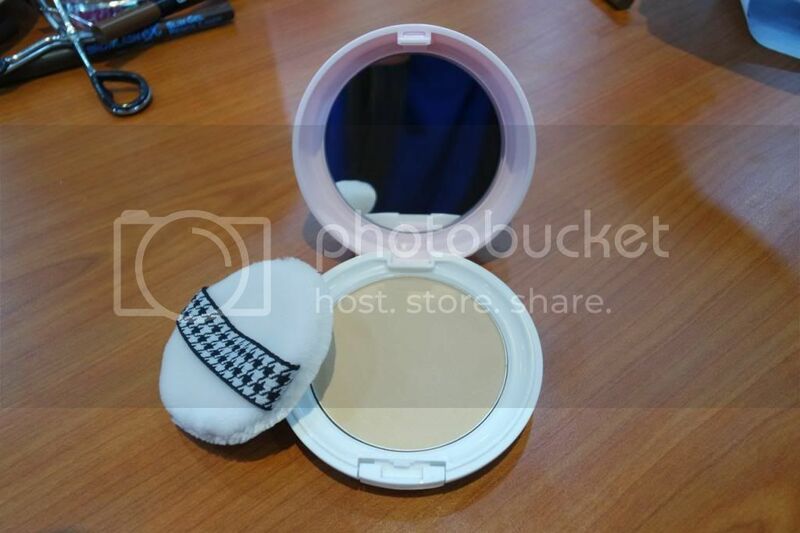 Since Hiroki-san started off with the face powder and foundation already, so I pat on some ClearLast Natural Cover Pact on my face too before proceeded with eyebrow application. 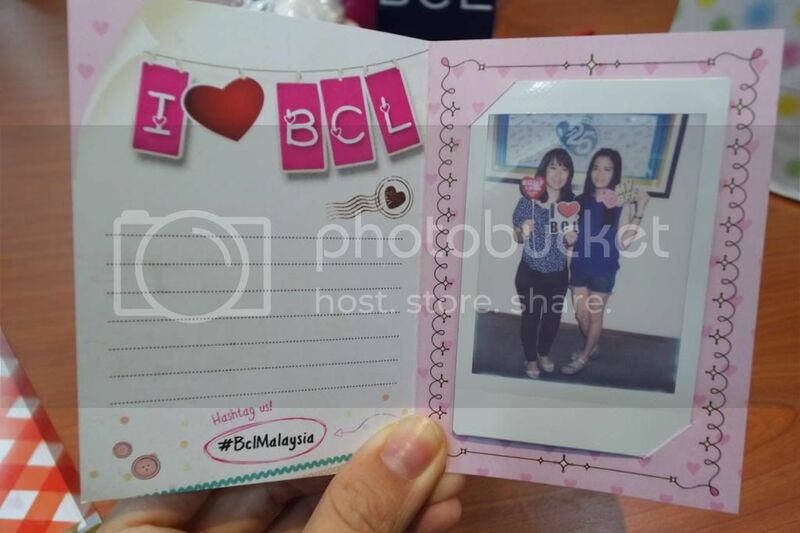 ClearLast has very cute puff and pink casing which most girls love to. 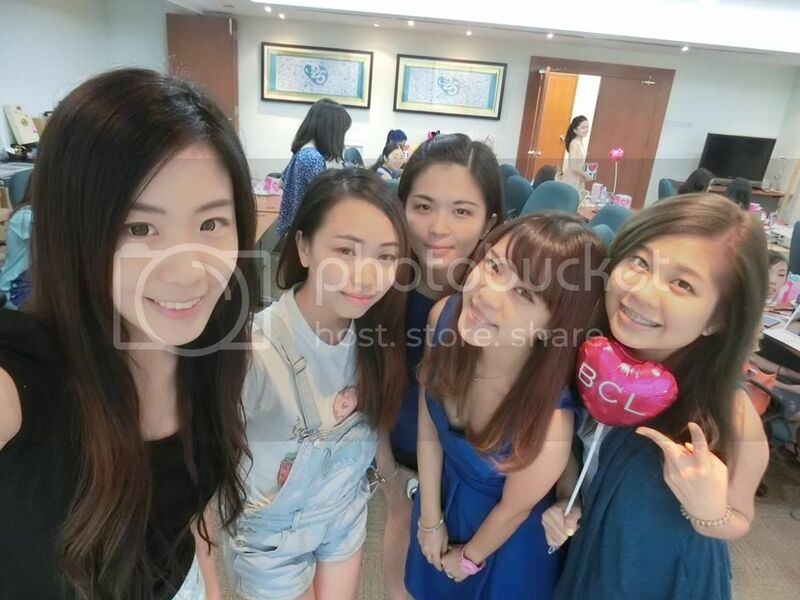 :D ClearLast is best known for its excellent face powder. A base makeup series delivers long-lasting clear skin. Hiroki-san then proceeded with eyebrow application. 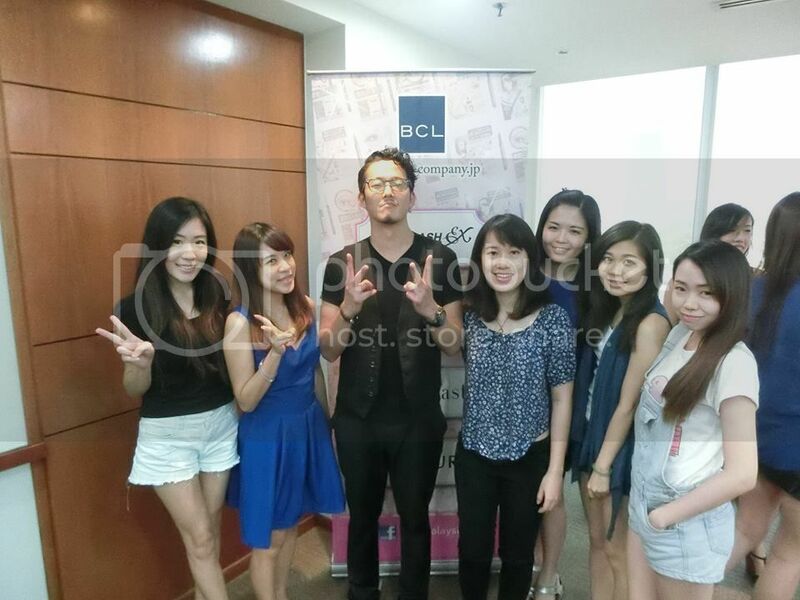 There were some tips taught by Hiroki-san for both Cool Beauty and Japanese Idol look. 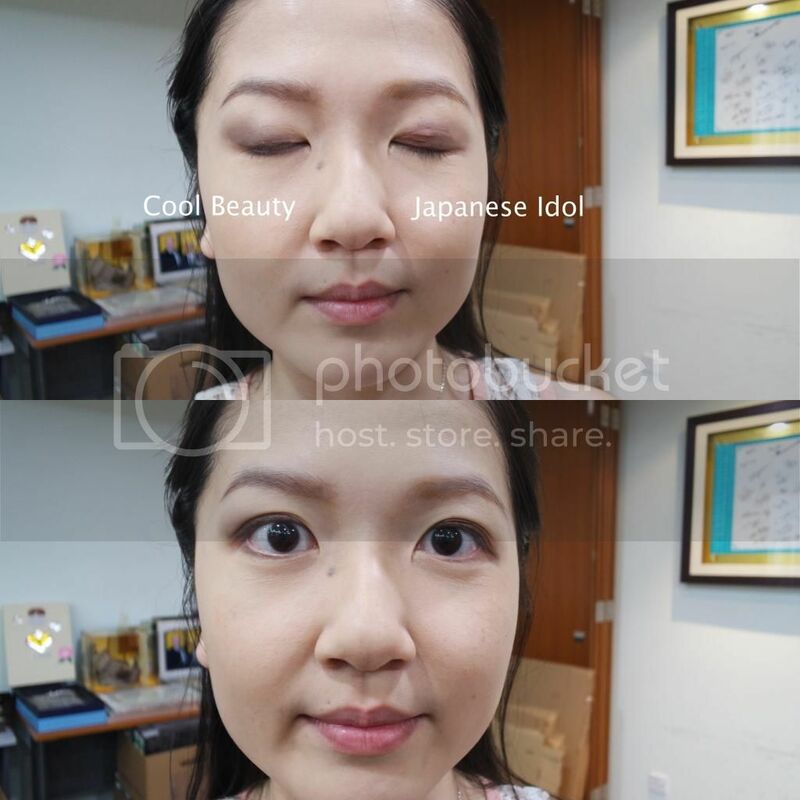 For the Cool Beauty look, the eyebrow has to be applied sharper at the edge and soft with straight eyebrow for Japanese Idol look. 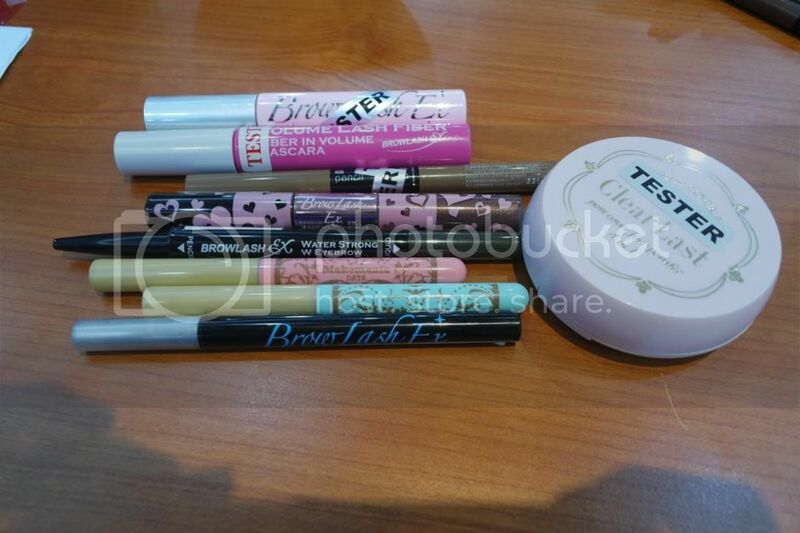 For Cool Beauty look, Browlash EX W Eyebrow Pencil and Liquid was used. 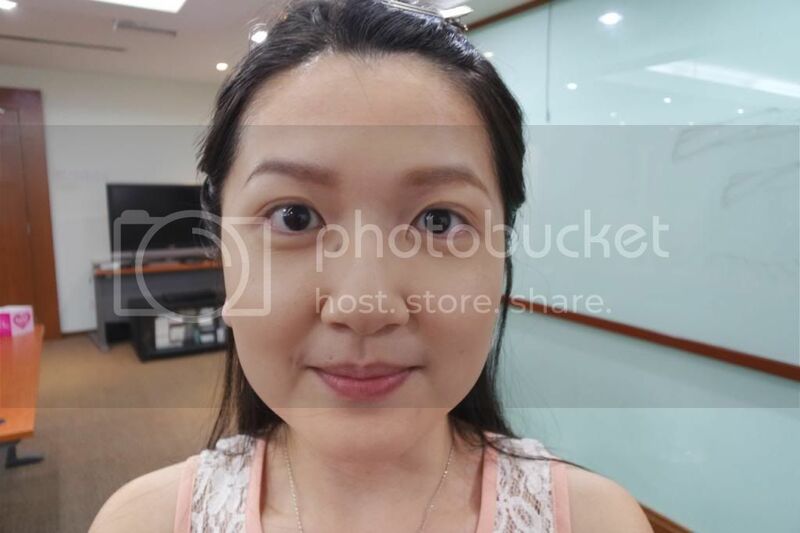 It's a double end eyebrow to create defined-looking eyebrow. 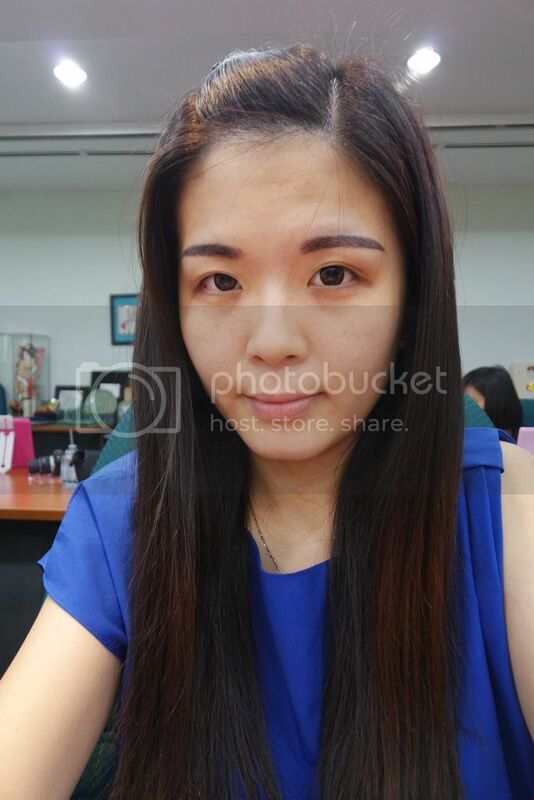 For natural-looking eyebrow, Browlash EX W Eyebrow Gel Pencil and Powder was used. 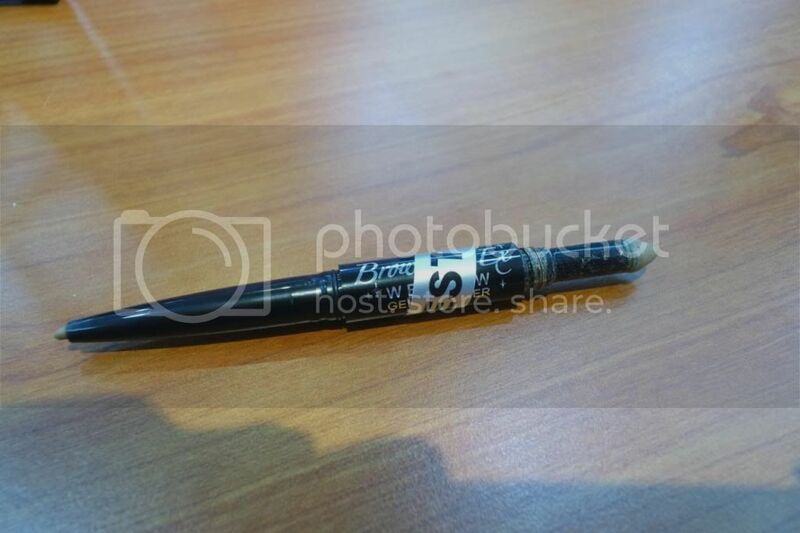 It's a new item in the market and it has both tips with pencil and powder for eyebrow usage. 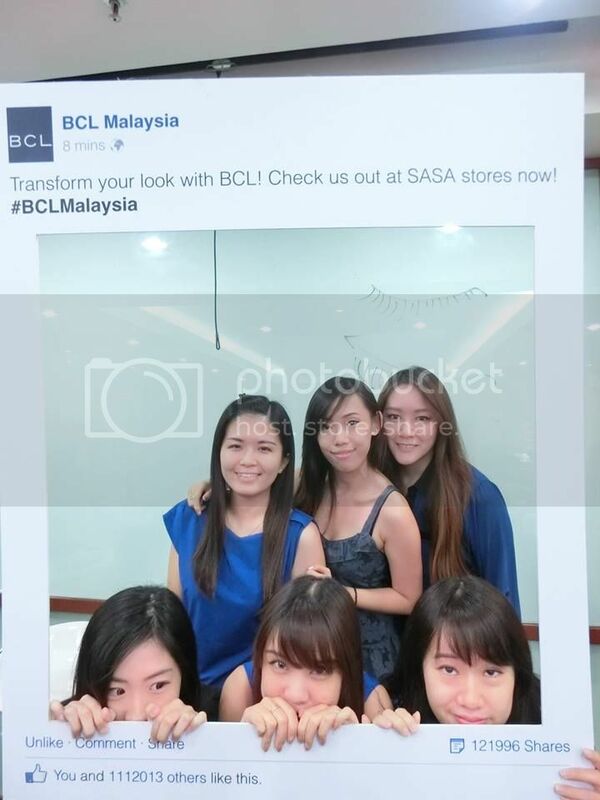 Below are the photos of the bloggers busy applying their eyebrow. 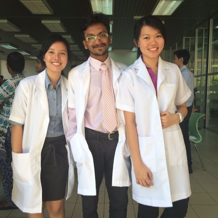 Jess got her help from Hiroki-san. Hiroki-san taught us the next step - application of eye shadow. 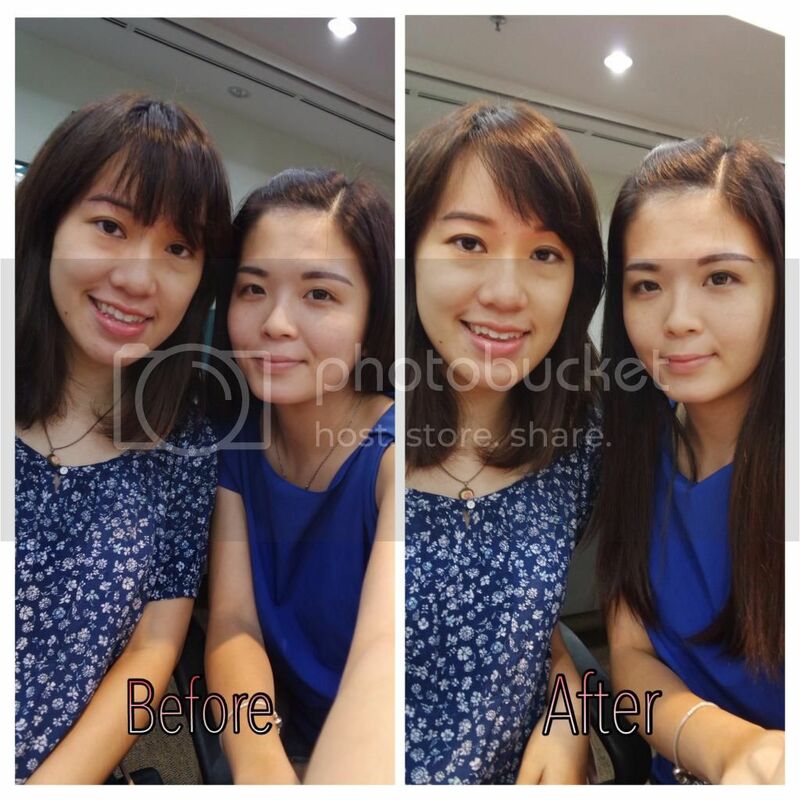 In this step, we used Makemania Data Gradation Tip Shadow to apply for both of the look. 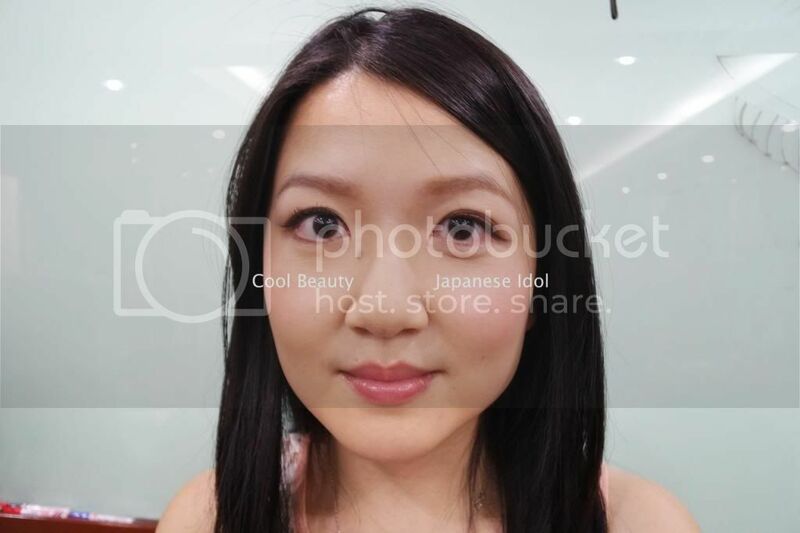 For the Cool Beauty Look, darker shadow (Bronze Brown) would be used to create more defined and mature look while lighter colour (Light Brown) would be used to create natural looking like Japanese Idol. 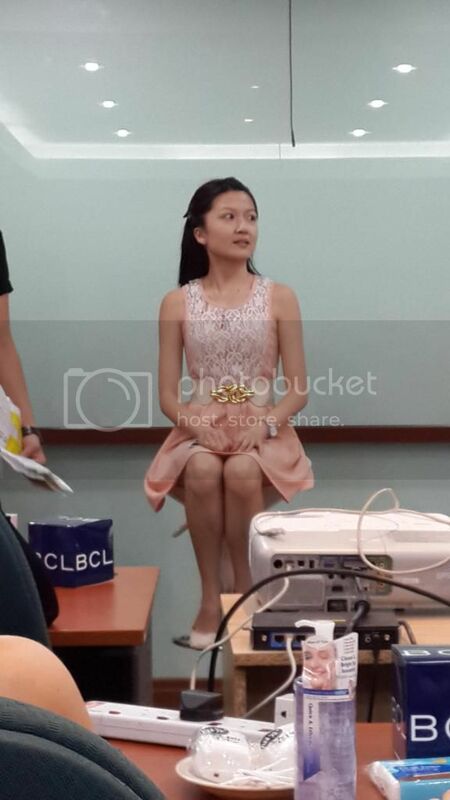 As you can see from the model's eyes below, there's difference between the application of eye shadow for both looks. 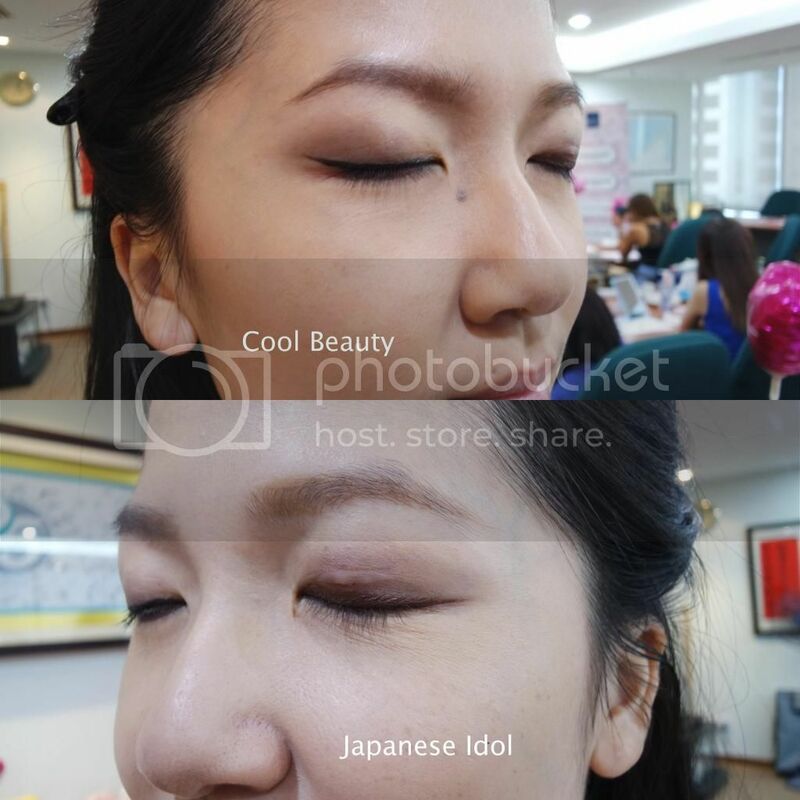 Cool Beauty would create smokey eye effect while the Japanese Idol would not. Next step was the eyeliner application. 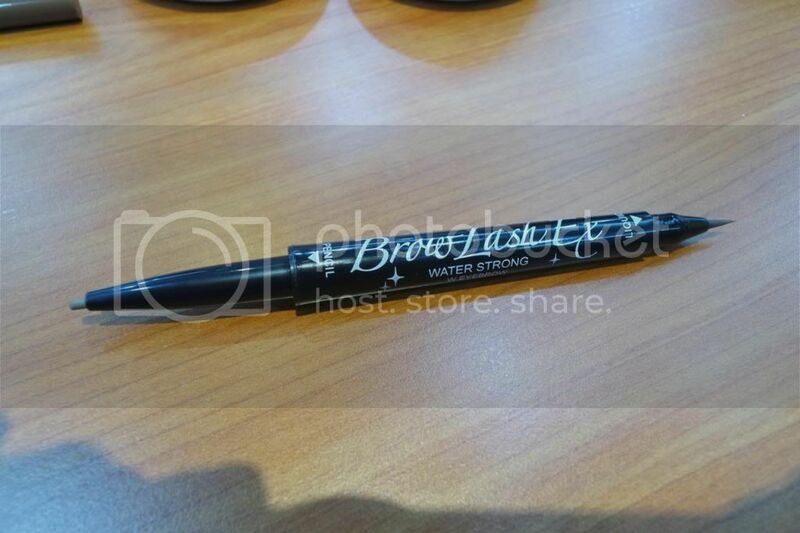 For Cool Beauty, Browlash EX Water Strong Liner (Deep Black) was used while Browlash EX Slim Gel Pencil was used for Japanese Idol. 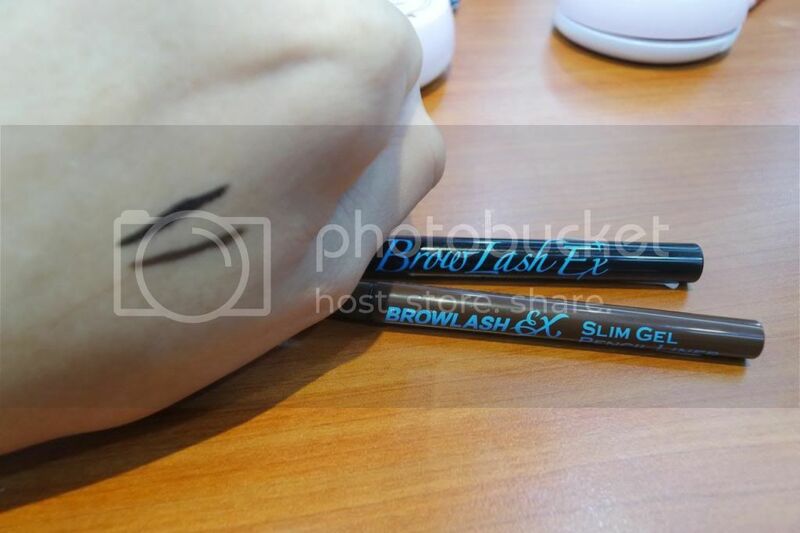 I am in love with the new Browlash EX Slim Gel Pencil as it glides smoothly on my lids making it easier to be drawn on my eyes to create natural look. 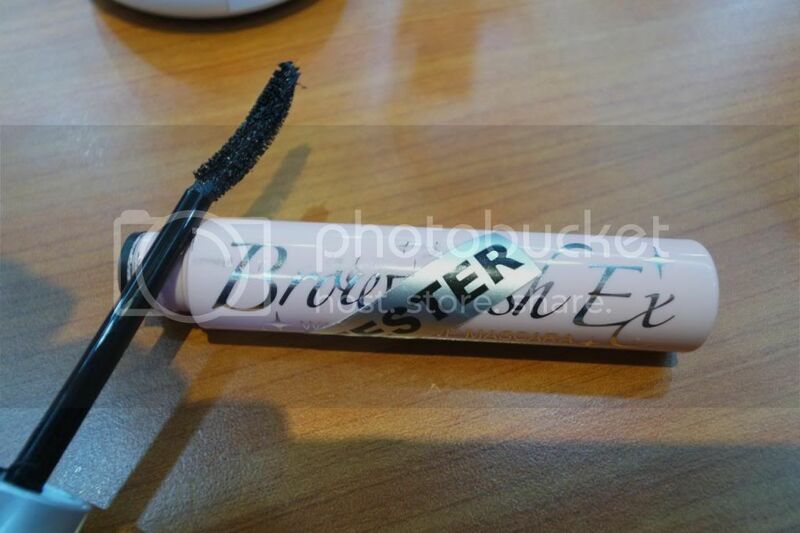 Another new product in the market is Browlash EX Perfect Mascara and Eyeliner which has very cute pink packaging and it has both mascara and eyeliner in one. 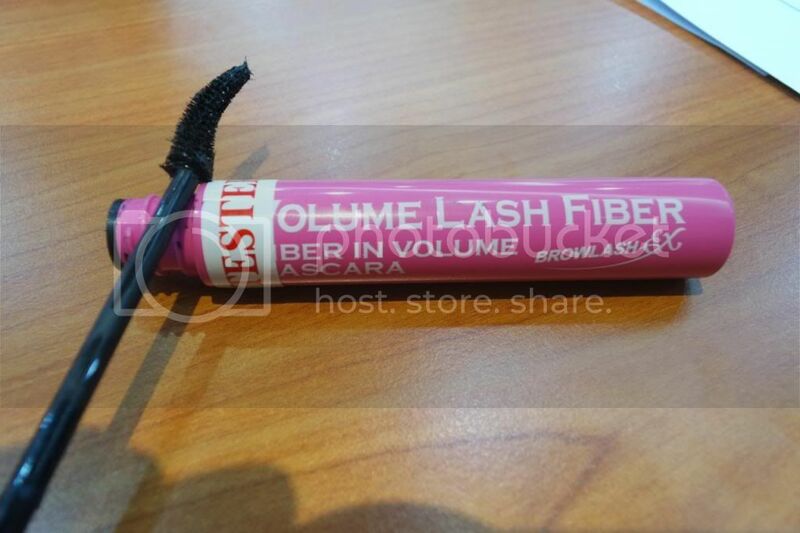 I find that this product is convenient for us nowadays as I did not have to bring extra eyeliner or mascara with me especially when I am travelling. 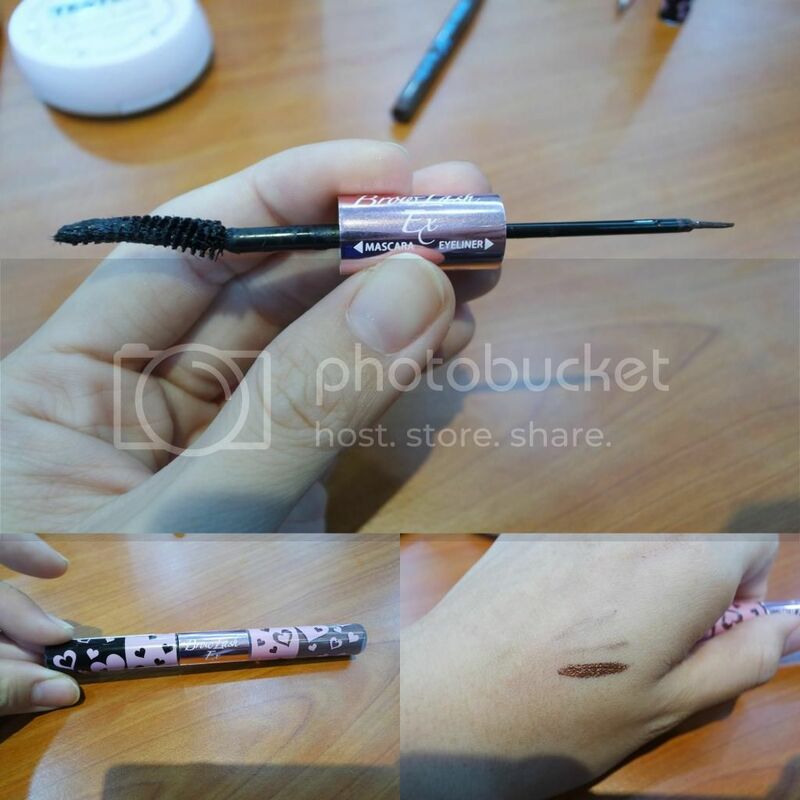 Browlash EX Washable WP Mascara is coming soon in the market.